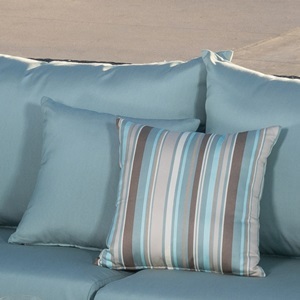 Our Deco Collection outdoor lounge chairs are designed for complete comfort. 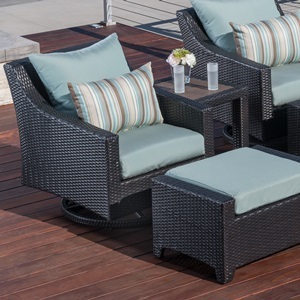 Hand-woven, all weather SolarFast® resin wicker is wrapped over a strong but lightweight, powder-coated aluminum frame. Stackable design, five-way adjustable back rests, and integrated wheels for easy transport take comfort and function to a whole new level. 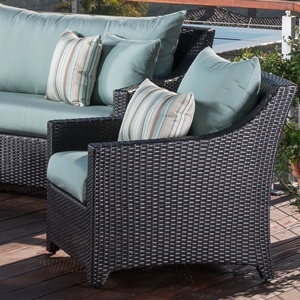 Set includes two woven chaise lounges. Integrated wheels make it easy to transport the lounger wherever you need it.